Are you searching for the TRON DApp development solutions? You are at the right place! Coinjoker offers an end to end DApp development related to Blockchain solutions. In recent days TRON is being the hottest topic, that explores the crypto world. Now let us see about TRON (TRX) and how it is transforming the crypto market. Tron is a blockchain based Operating System and decentralized P2P application platform that aims to build a free, digital entertainment ecosystem with distributed storage technology. This protocol allows the users to freely store, publish and own the data. 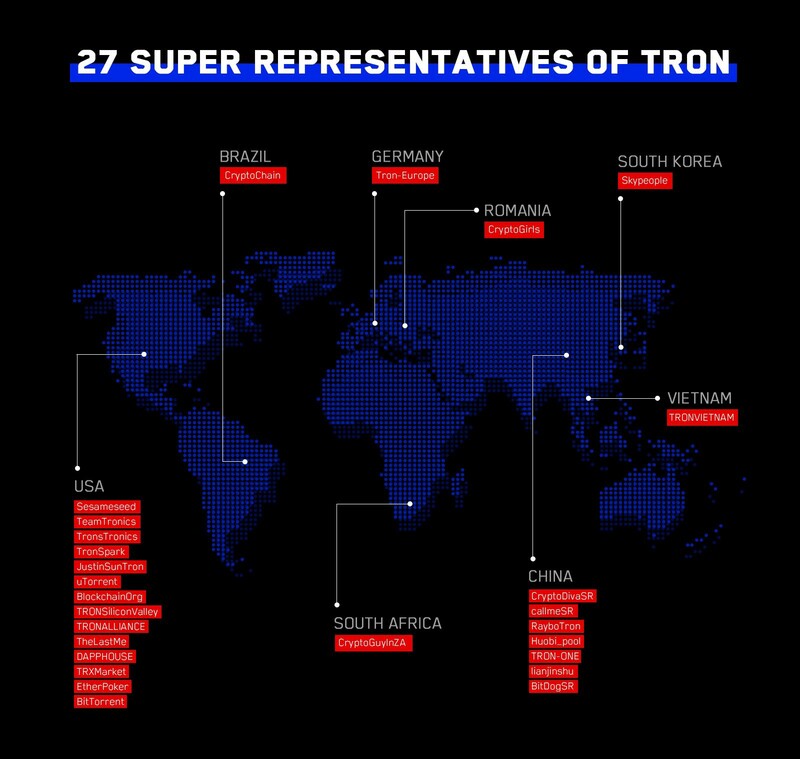 Tron has created plenty of impacts in the cryptocurrency world, its Tronix(TRX) cryptocurrency has even become one of the world’s top ten cryptocurrencies worldwide. Tronix is an official native digital currency of Tron blockchain designed on ERC20 protocol. It can be used as a medium of exchange as an investment currency on different platforms as well as other Tron tokens. TRX transactions can be done faster with low transaction fees and can be found on numerous exchanges. The transactions model of TRX is similar to that of the transaction of Bitcoin, the only difference is that the TRON improves the transaction model with additional security. Creates an infrastructure(such as games) to allow digital currency exchanges. Data liberation - The uncontrolled data allows users to review and export their data. A medium of exchange - Like bitcoin, Trx can be used as a form of digital cash to pay for stocks and services. TRX can be easily sent or received by anyone who uses the Tron wallet. Provides rights and privilege - Holding the TRX tokens(locked) will give you the right of voting in Tron elections. If the token is unlocked the votes will become invalid until they are locked again. Can create TRC10 and TRC20 tokens - TRX can allow the Dapp developers to create quality tokens on Tron blockchain. Like other platforms, TRON allows to create and issue tokens. Tron is generally known for TRC10 and TRC20 tokens. This TRC standard doesn't require any programming knowledge, it is completely effortless to carryout ICO. Most of the Tron based tokens are TRC10 standard tokens which can be used as a DApp’s currency. This standard tokens are widely supported and its totally easy to create. Most of the wallets support TRC10 tokens, this is because it creates an easy way for the investors to subscribe to the ICO. The ERC20 tokens created on the ethereum network based on a smart contract will define the rules on how the tokens should behave. TRC20 is exactly similar to ERC20 tokens that it is based on a smart contract which is not possible on trc10 tokens. Even though TRC20 is difficult to set up and not supported worldwide, it can be more powerful and customizable. As there is a high risk of losing control over your assets and several other security issues, Tron wallet is indispensable one to store the TRX tokens safe. The Tron wallet will allow users to securely sign smart contracts and transactions. Tron has become the dominant Dapp platform in a very short period of time and has an objective of influencing the Dapp market. Recently it has been found that some other Dapps are switching over to Tron from Ethereum and EOS. TRON Dapp Creates Massive User Growth! The Decentralized TRON application creates a massive user-friendly platform with, high availability, high throughput, scalability, fault tolerant at very low cost. Crypto games have been emerged as the next generation of the gaming world, that allows the players to earn cryptocurrencies through various activities. This method of gaming has become quite popular and more and more gamers are joining such crypto communities. 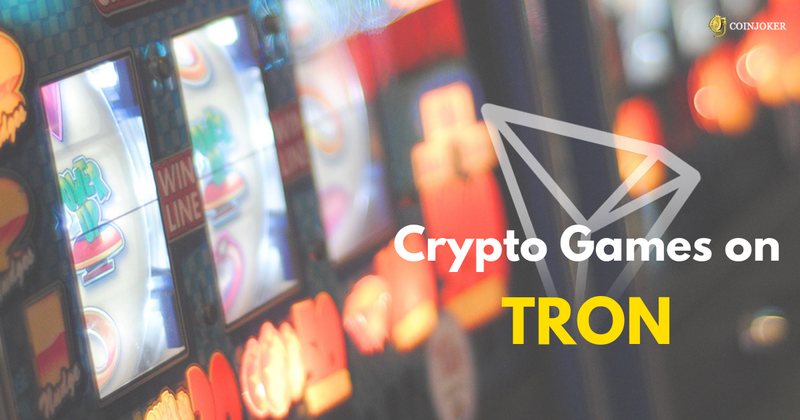 Among all blockchain options, Tron is the easiest for the game developers to develop innovative crypto games like gambling, casino, etc,. 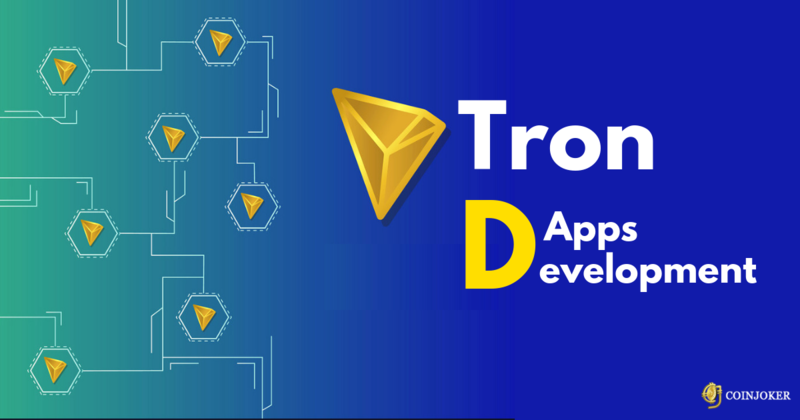 Thus Tronix platform gains more attention among the game developers and they started migrating from ethereum to Tron blockchain network. This is because Tron can handle up to 200 transactions per second. As a result, more games are joining the TRON network. 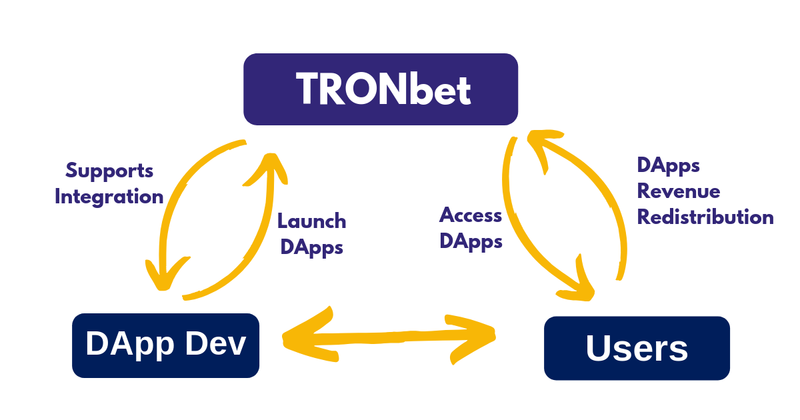 Tronbet will provide tools for DApp developers to utilize the Tronbet ecosystem. Users will be able to access all the premium DApps straight from the TRONbet portal. It is one of the most famous online gaming DApp platform using Tron blockchain. It eliminates the need for online gambling venue, rather relies on the transparent blockchain. It is similar to a casino that allows the user to buy or win a certain percentage of total revenue at the end of the day. The dividend token is known as ANTE and that can be earn by gambling a certain amount of TRX per hand. 1. Dice- Dice is a single player game where you can bet all types of TRON supported tokens. 2. Moon - Moon is a multiplayer game and betting can only be placed in TRX. 3. Ring - Ring is a poker game that allows multiple players and only the TRX token can be used. Recent predictions make it clear that the future of TRON will pretty good and a forecast given by Facebook has estimated that the price might reach 31$ in the future. However, there is no accurate price prediction is stated. As Tron price is continuously increasing, many people are using TRON Dapp platform and this is surely a good time for those who are thinking about investing in TRON. Interested to create your TRON Dapp? Coinjoker - We as an esteemed Dapp development company provides TRON Dapp platform and TRON wallet development built up with TRX blockchain. Our immense team of blockchain developers will help you to develop Dapps on Gaming, Gambling, and Exchanges in TRON ecosystem. Get a free consultation and develop your own Tron Dapp for your business!